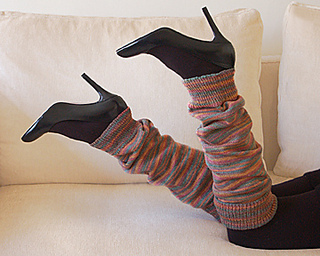 Wear these VERY EASY leg warmers with boots, flats, slippers or your favorite pair of heels! An excellent beginner project for knitters who use double pointed needles and knit in the round - or want to try! 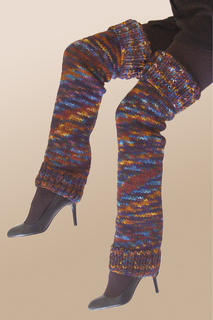 No increases or decreases, these leg warmers expand to fit, and the deep rib band at the top folds over to grip lightly above the knee or the calf. Choose from 5 different yarn weights and make them in multi-color yarn to go with everything or consider a single color to wear with a special outfit. Choose from 5 different yarn weights.